How far would you go to quench your thirst? 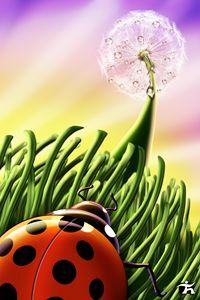 It's a brand new morning, and this lovely ladybug gazes up the dandelion to see sun glistening dewdrops. 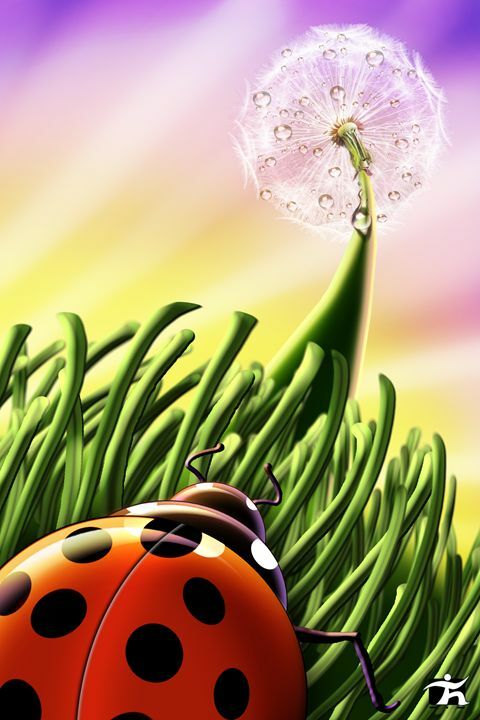 May it inspire your morning when you hang it up on your wall!